"Sam is a reassuring presence and that reduces Jacob’s anxiety. His meltdowns have decreased enormously and I don't dread bedtimes anymore"
For mum Liz her first Family Dog workshop was an emotional watershed in her search for ways to help her son Jacob, who was diagnosed with autism aged five in 2014. 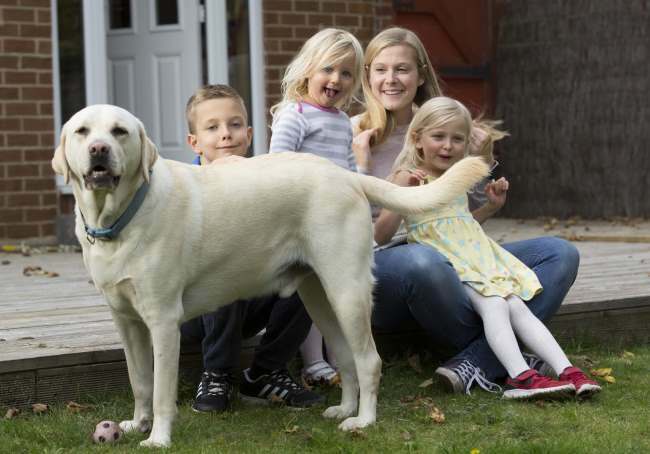 Liz and husband Daniel introduced Labrador Sam to the family, whose presence alone seemed to help Jacob become calmer. But the family was still struggling to cope, particularly with his meltdowns and disruption at bed and bath-time. Enthused by the workshops and armed with training techniques, strategies and suggestions from Dogs for Good’s Family Dog team, Liz introduced Sam to the bathroom and then Jacob’s bedroom and the family’s evenings were totally transformed.